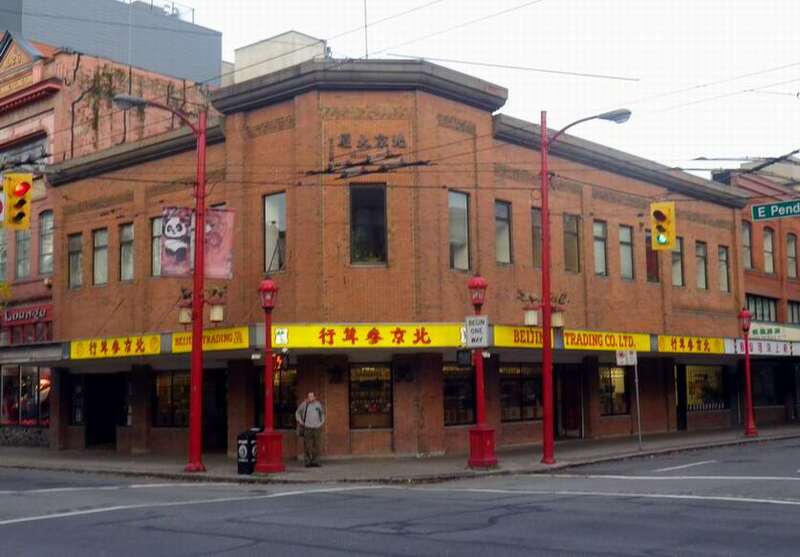 Chang Toy was the developer of a number of important Chinatown buildings, although only a few of them now remain. The founder of the Sam Kee Company, Chang Toy rose from having virtually nothing to become almost certainly the wealthiest man in Chinatown. 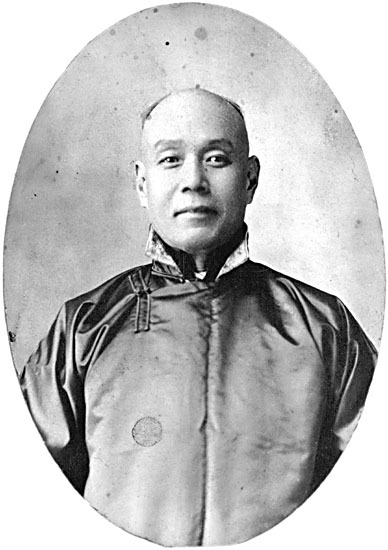 Born in Guangdong Province in 1857, his father died when he was aged three, but still Chang Toy was able to go to school and was married as a child (so his mother would have a servant). 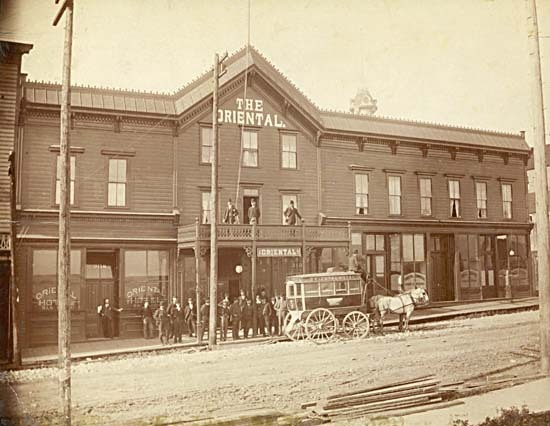 He came to Canada in 1874 as a labourer, initially working in Victoria, then in a New Westminster sawmill before moving to Granville around 1876 and buying a share in a laundry, (probably Wah Chong’s). He added a small grocery business and started labour contracting other Hakka speaking Chinese workers. 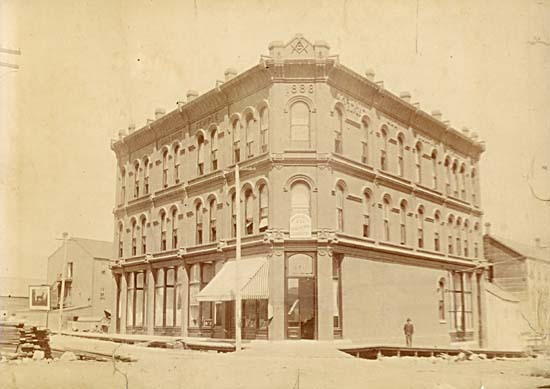 Over the years, among other businesses he was involved in he added charcoal burning, an import and export business, steamship ticket sales and real estate. 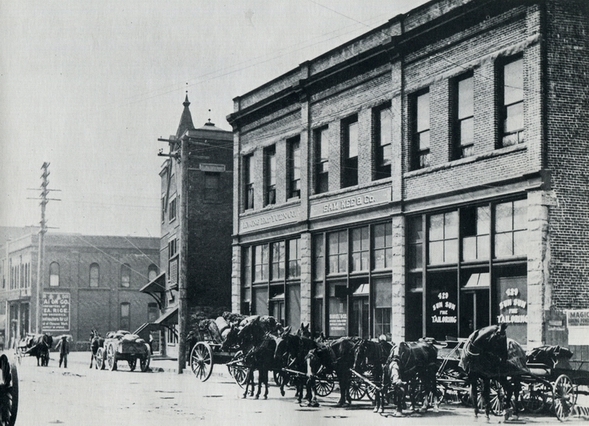 Initially goods were shipped from a more established Victoria merchant, the Wing Chong Company. Chang Toy’s company were known as the Sam Kee Company as if there were such a person, although it is an entirely made up name. 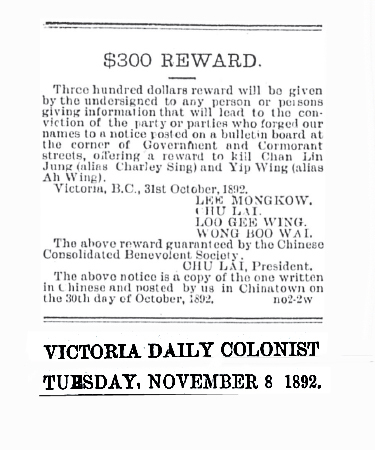 After the 1886 fire (which presumably wiped out his business) Chang Toy moved to Steveston, but by 1888 he was back in business in the newly named Vancouver. 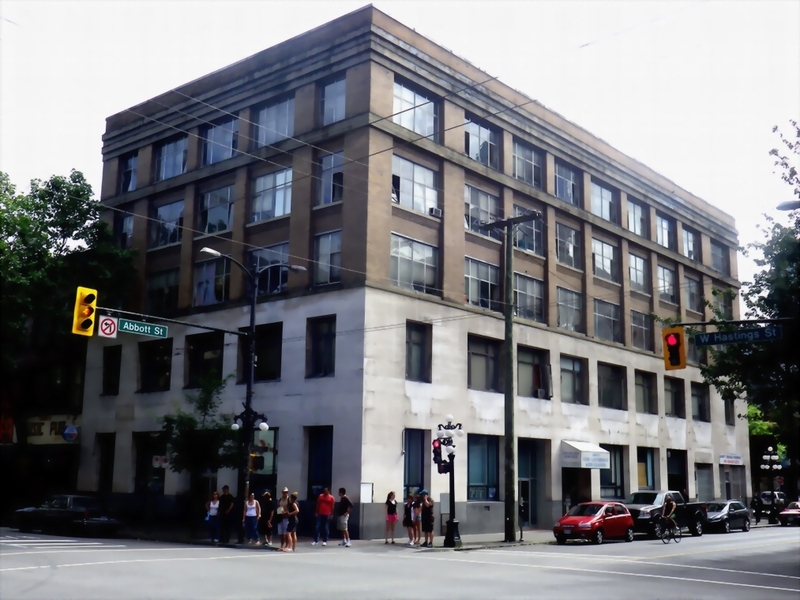 Retail sales rose steadily, and in addition the company acted as wholesalers, importing goods from Hong Kong and then shipping on to other stores elsewhere in BC’s interior. 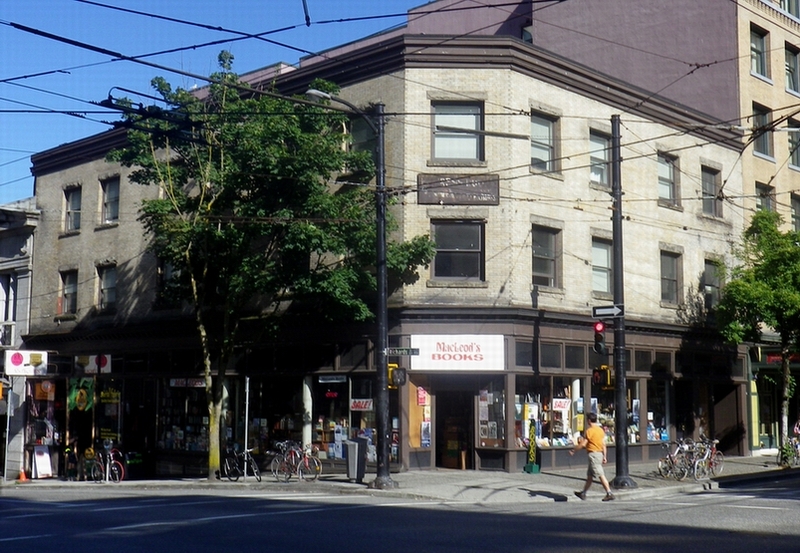 In the early 1900s the store was on the south side of Pender, backing on to False Creek (which was much bigger in those days). 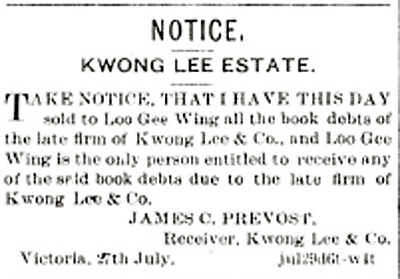 Sam Kee also acted as a clearing-house for Chinese sending money back to China. 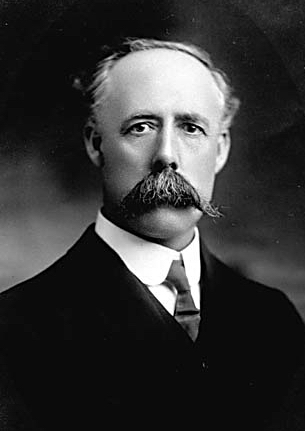 By 1908 trade in goods like rice had grown hugely, with Chinese sourced rice being shipped to major Vancouver wholesalers like Kelly-Douglas and W H Malkin. On the export side the main product was salted fish, initially to Hong Kong but later to Shanghai as well. As the trade expanded, the company developed complex relationships with Japanese fishing concerns. 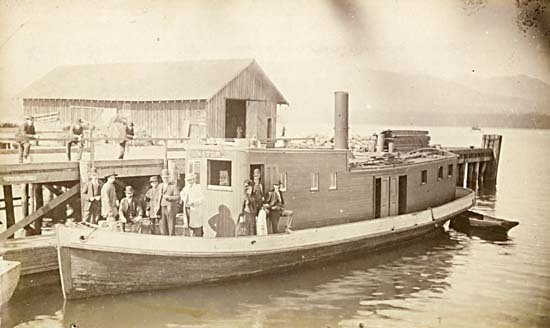 As sources of fish declined, Sam Kee developed new connections in Nanaimo, and added a wharf, fish tanks and a saltery which were in turn leased to Japanese companies who supplied the fish that Sam Kee exported. 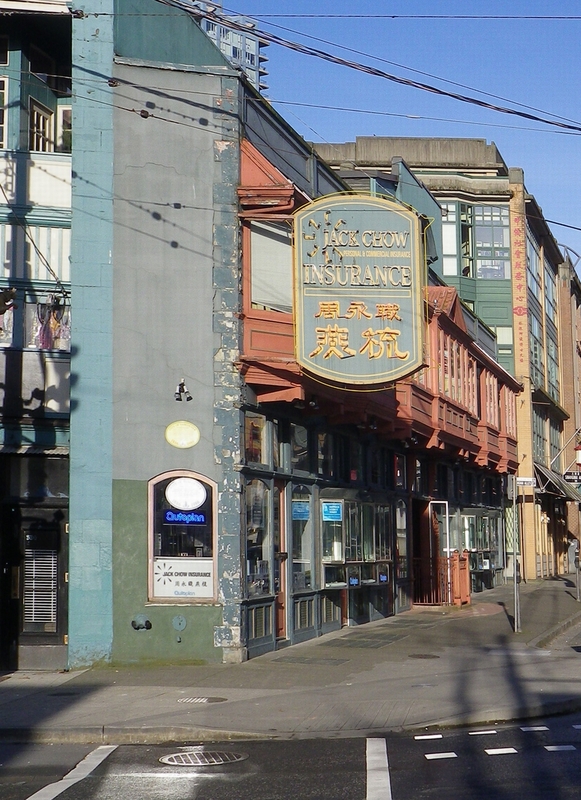 Although the different traders in Chinatown were rivals, they co-operated more than might be expected. 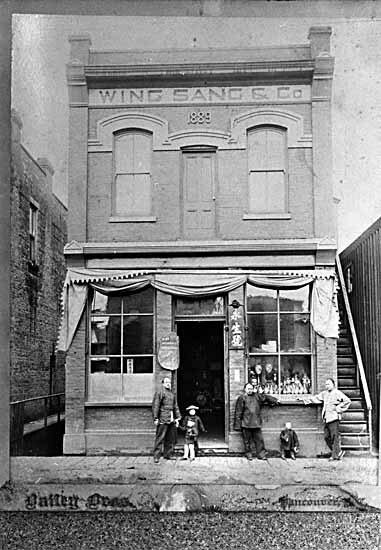 In 1893 Won Alexander Cumyow (another Vancouver merchant) and Chang Toy pooled funds to buy property that they then leased to Wing Sang and other merchants for two years, before selling. 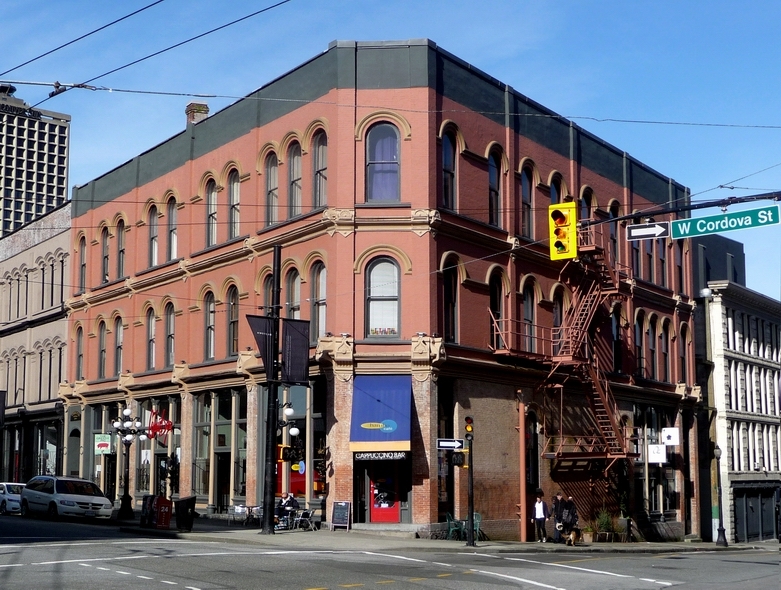 By 1904 the company were based in a 2-storey building at 433 Carrall Street. 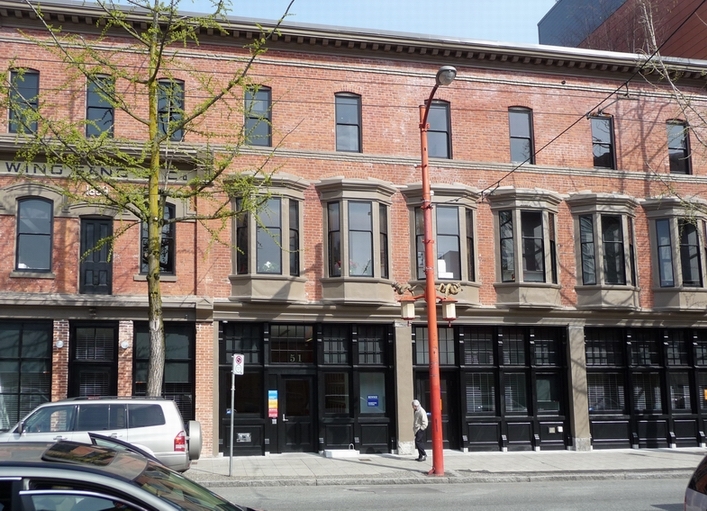 This was probably the 1903 commission for the Sam Kee company building by W T Whiteway. Soon after it appears to have had a third storey added. 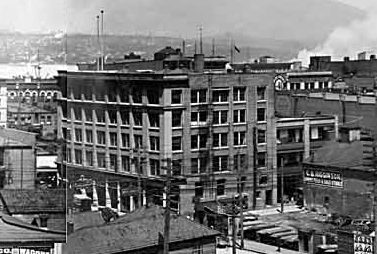 The extraordinary pace of development in the early years of the 20th Century can be seen on this site – by 1911 the site had been sold and the new BC Electric depot and offices were being built here. 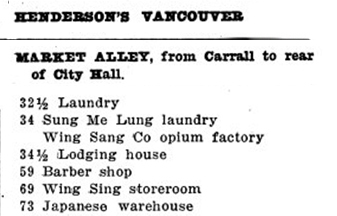 Altogether the company held 10 lots in Chinatown, but also land in Gastown, and at the corner of Pender and Richards Streets as well as on Burrard and Hastings Streets. Residential hotels or apartments were built here, either turned over to white hotel operators or non-Chinese management. In total Chang Toy owned five hotels, and built two others on leased land. 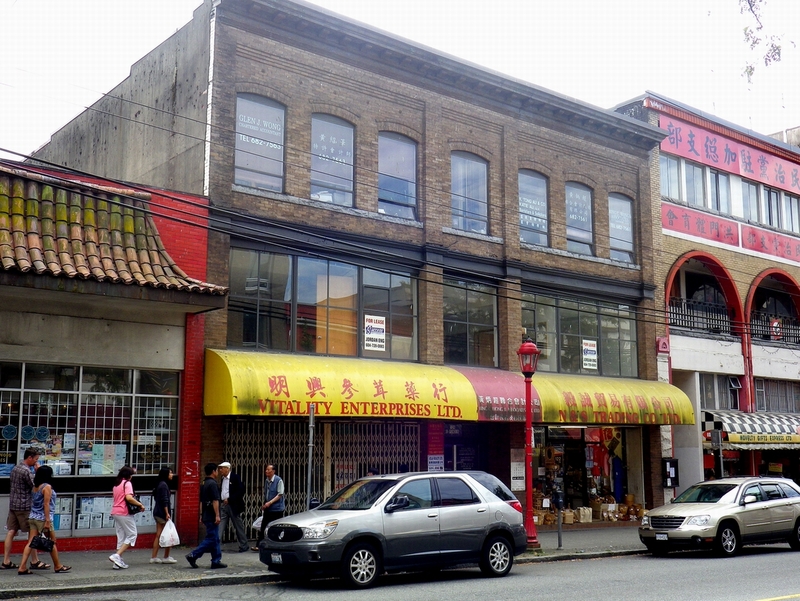 Overall there were greater land holdings outside Chinatown than within the area. 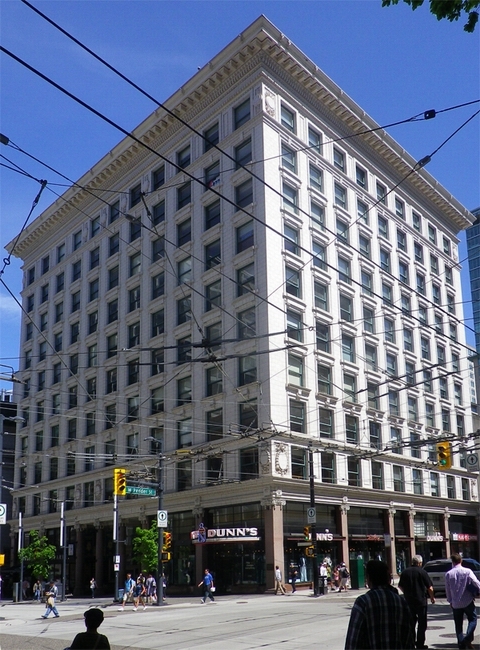 In 1910 the company moved to 111 East Pender Street (built in 1903 by Victoria merchant Chu Lai and designed by W T Whiteway, later the home of the Green Door Restaurant), and by 1920 they were based at 147 Keefer Street, a building with a confusing pedigree – the building permit being issued to Kennerley Bryan for Sam Kee in 1911 but plans attributed to Fred Townley for the Wing Kee Rice Mills (probably a Sam Kee related company) existing from 1912. It’s possible the final version was a revisit of Bryan’s initial design. 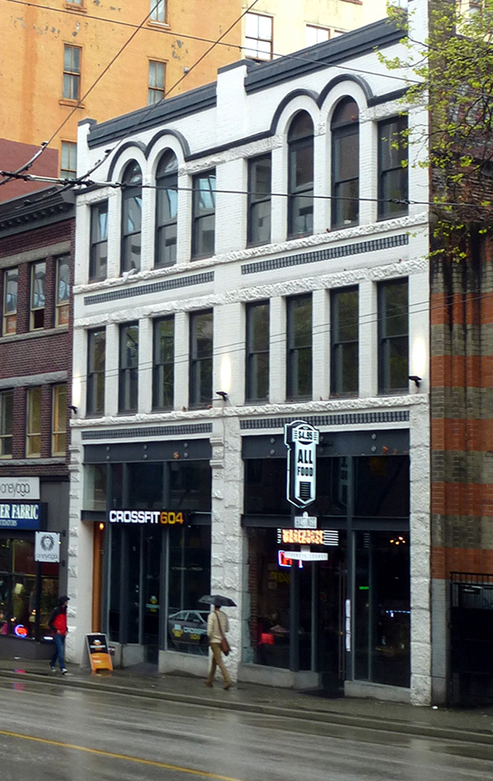 In 1910 Sam Kee Company employed W F Gardiner to design a $55,000 addition to an existing building on Powell Street. 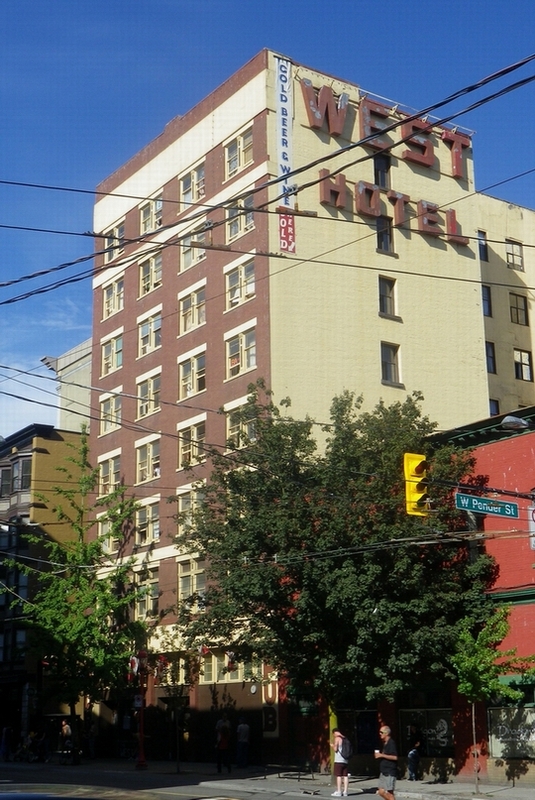 That was the City Hotel, on Powell Street at the other end of the block from the iconic Europe Hotel. 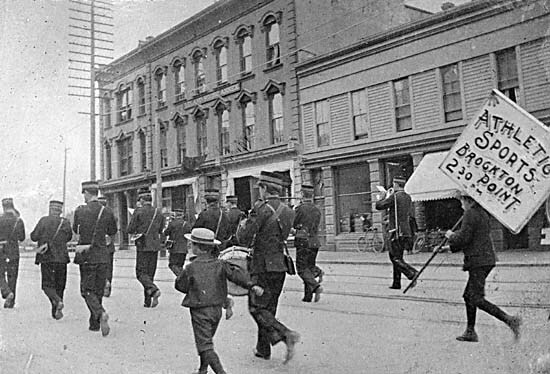 In 1911 the Oriental Hotel on Water Street was required to be demolished by the City Health Inspectors, despite Chang Toy’s protest. 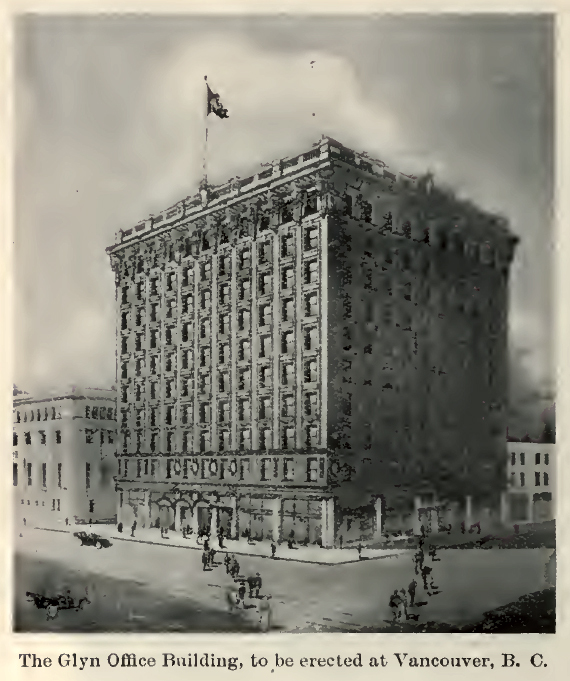 However, the same year he built a new hotel on Main Street, designed by Perry and Nicholais. Two of the pieces of land the Sam Kee Company acquired on Burrard Street these days have office buildings on top – one site underneath Park Place next to the Cathedral. Chang Toy’s private life expanded as much as his business; in the Chinese custom of the time he accumulated five wives, and several children by at least two of them. 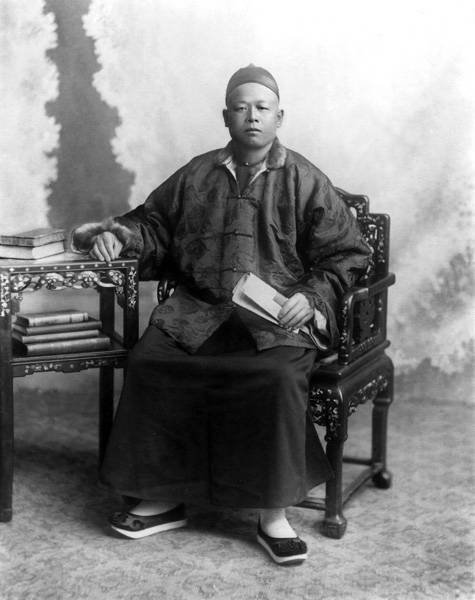 He never really learned to speak English, and retained traditional Chinese dress until his death in 1920. Like the other Chinese merchants Chang was sometimes willing to take risks and start new ventures. 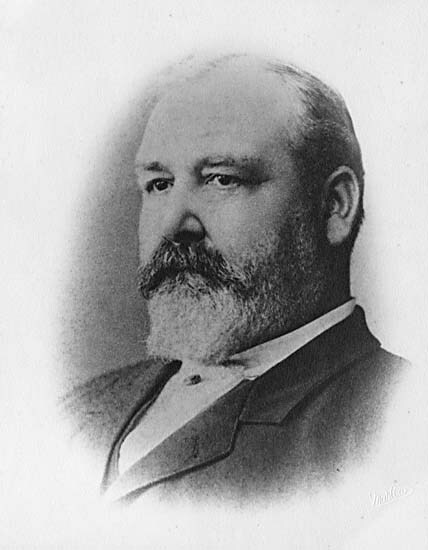 For a short while starting in 1893 he had a 25% stake in a gambling syndicate called Hop Lee Word Flowers, a word-guessing lottery. 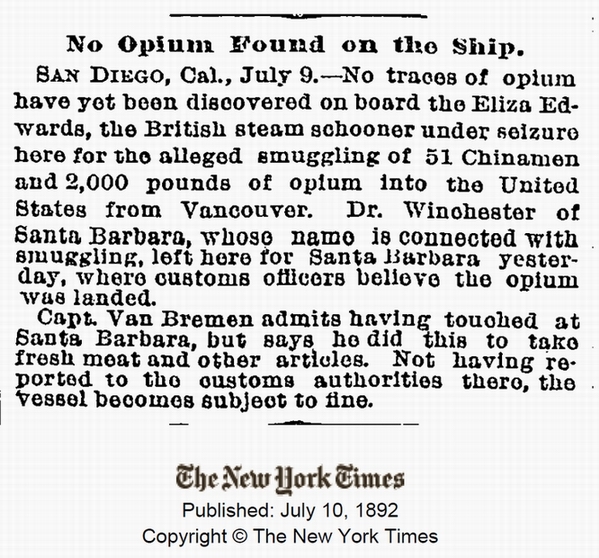 The Sam Kee Company sometimes imported opium when they had a customer who needed it. 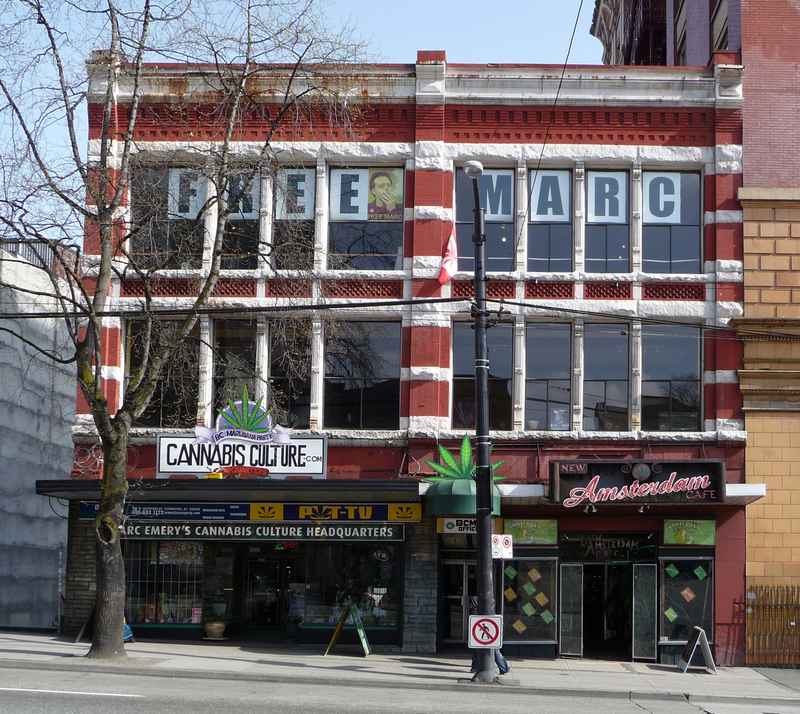 Chang operated a theatre, the Sing Ping, located on Columbia Street (but addressed on Keefer) which he had built in 1914 by architect W H Chow, and he invested in the troop who performed there between 1915 and 1918, although it appears that this was not a money-making proposition. The four buildings still standing that are probably Sam Kee developments are somewhat different in character. 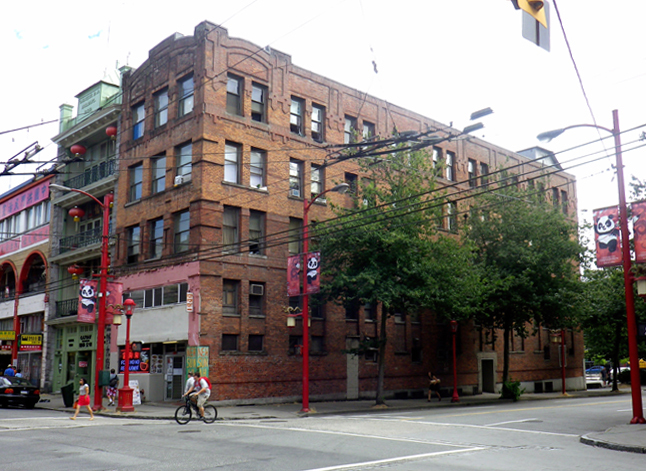 The first is on Pender Street, and these days is more often called the Chinese Freemasons Building. It was completed at some point early in the 1900s, but records are sketchy. 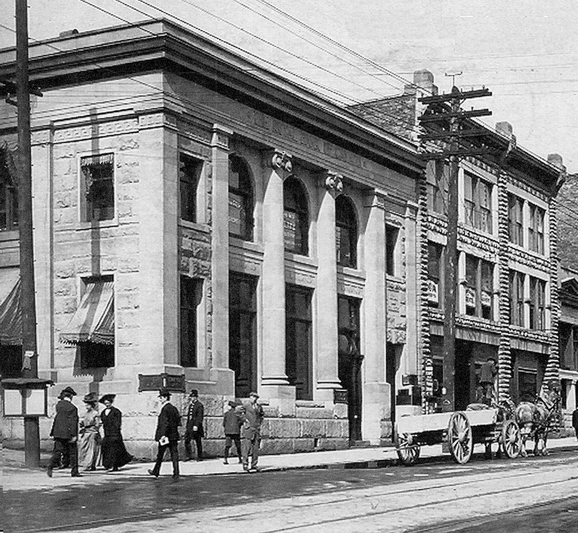 It was almost certainly complete by 1906, as there is a picture dated to that year, but before that we’re relying on business directories which were less interested in the businesses in this part of town, particularly those that were Chinese or Japanese owned. 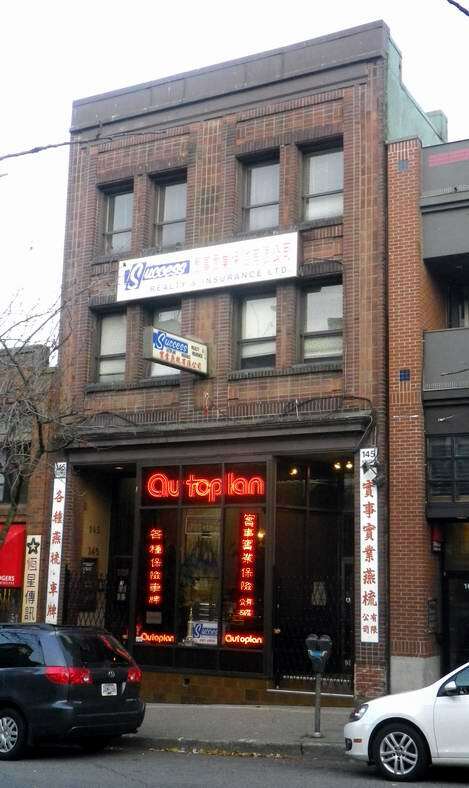 In about 1907 the building was bought by the Chee Kung Tong, an organisation for Chinese workers first established in Vancouver in 1892 that renamed itself the Chinese Freemasons in 1920. Active in Chinese politics, the organisation later took a position critical of both the Nationalists and the Communist Party. 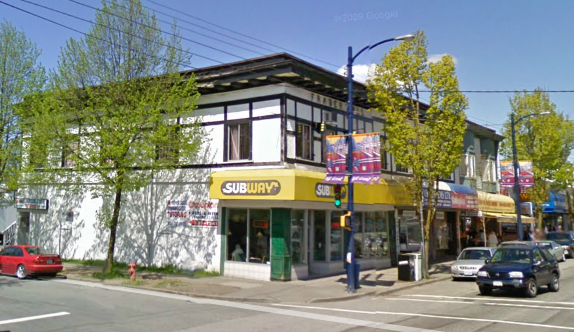 The second building is something of a surprise; it’s almost certainly one of the apartment buildings that Sam Kee built on lots around the growing city, and somehow it has survived to today. 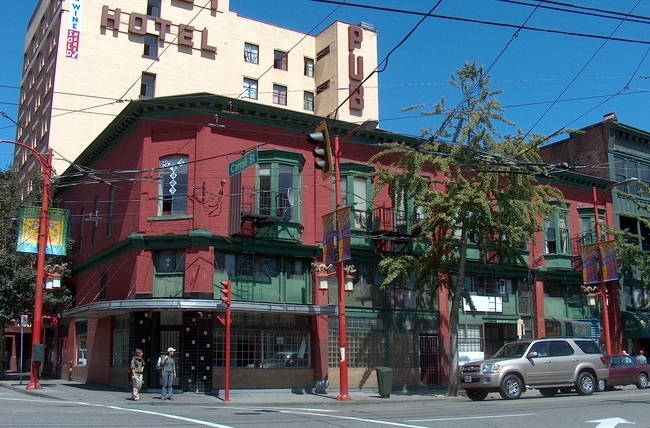 Sam Kee acquired two 25 foot lots at the corner of Pender and Richards in 1904, and the building still there today, the Empress Rooms, were completed in 1906. The architect has yet to be identified. These days it’s the home of MacLeods Books. The third building is the one that is most associated with the Sam Kee name. 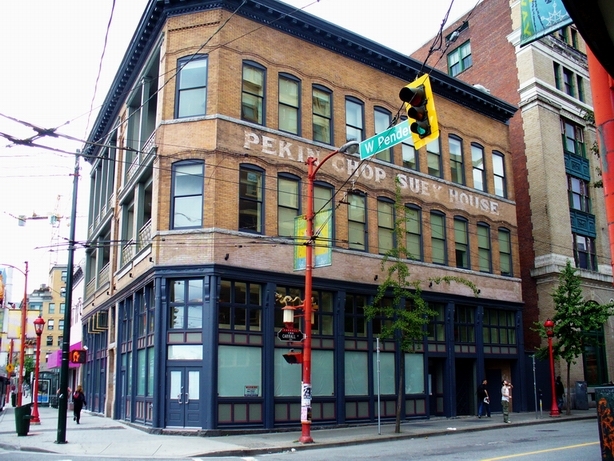 In 1912 the city expropriated Sam Kee’s building to widen Pender Street, leaving the company with a strip only 6 feet wide. Although this has been characterised as an attack on the Chinese community, it was a normal business transaction for Chang Toy, who instructed his lawyers to seek $70,000 compensation for the land in expectation of receiving the $62,000 that was the final settlement. Unwilling to have a potentially utilised plot sit vacant – albeit only 6 feet deep, Bryan and Gillam were hired to design a 3-storey steel frame building that overhangs the sidewalk to add a slightly greater depth, with a basement incorporating public baths. 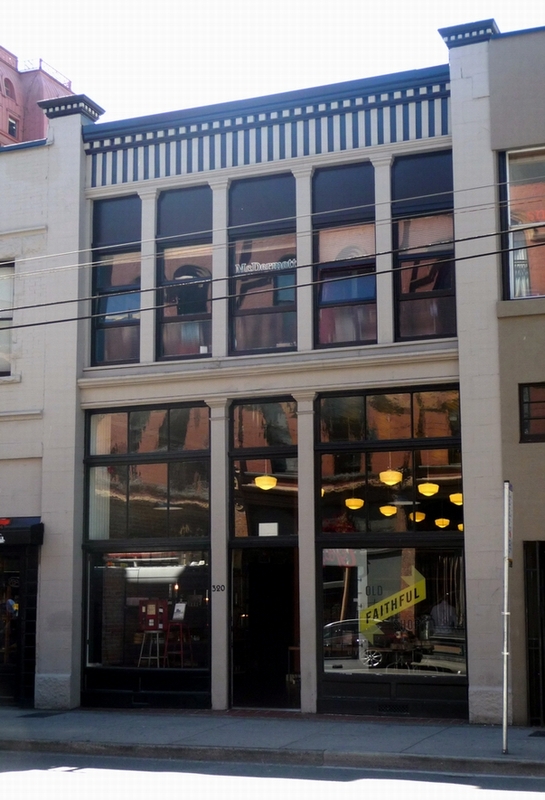 The building permit said the work was worth only $8,000 and the architects also carried out the building work. This is generally accepted as the narrowest building in the world. 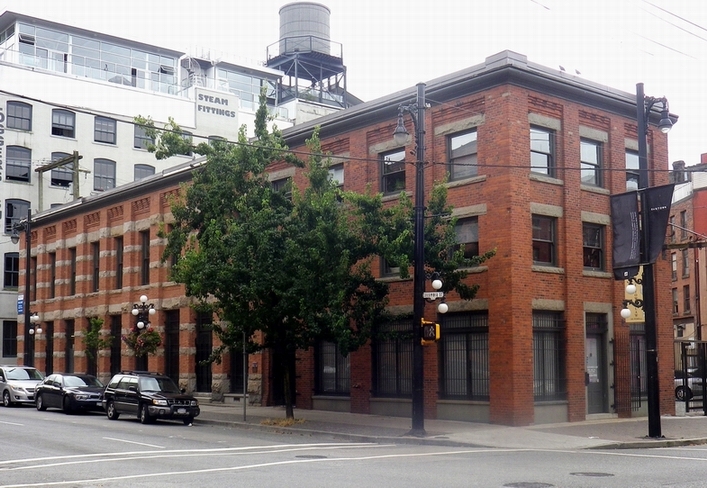 In the same year Sam Kee also had a residential building permit at 145-149 Keefer Street designed by Kennerley Bryan, to be built by R P Forshaw at a cost of $16,000. It is more likely that the drawings prepared for Sam Kee’s Wing Kee Rice Mills by Fred Townley in 1912 were associated with the design and commercial use of the building.